oz.Typewriter: Talking About ... What Else? Typewriters! ABC Radio’s Emporium program yesterday ran an interview with me regarding the Typewriter Exhibition at the Canberra Museum and Gallery (the exhibition still has a month to run, so take it in while you can!). 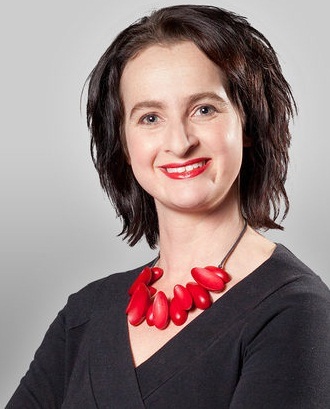 The segment was put together by ABC Radio presenter Claire (“Ginger”) Gorman (below). The audio of Ginger’s interview can be heard here. There are also images on ABC Radio’s Facebook page here. See the webpage on the story here. “Reminisce with me! 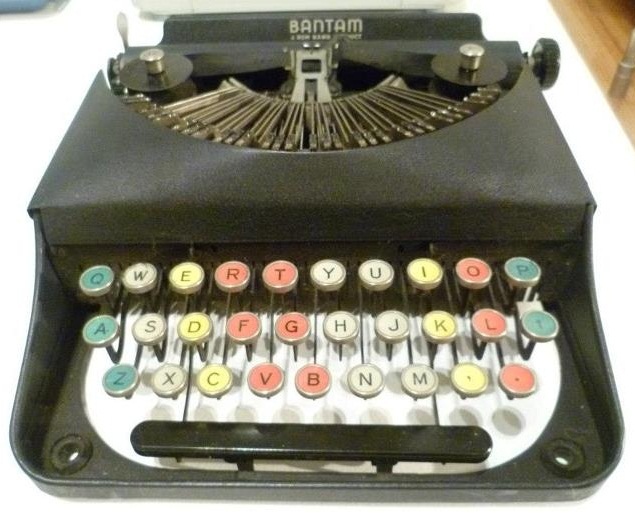 What kind of typewriter did you use in your younger days? Did you love or hate it? “When I was just six-years-old, my Dad bought me a brand new, heavy German typewriter. I loved it so much and wrote endless stories and 'articles' on it. Dad is sure this is why I later became a journalist. Even though I never use it now, I still can’t give it away. “On the show tomorrow (Sunday) we meet the man who has the largest privately owned collection of typewriters in Australia. Pictured is a 1930s Bantam from this collection. “With great humour, Robert Messenger shares his treasures and memories with us. 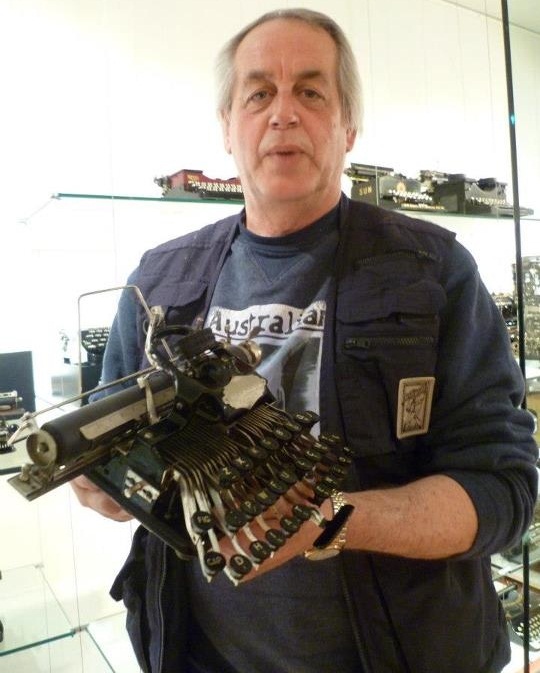 "Share your typewriter memories with me too by posting below or calling into the show on Sunday after 10am on 1300 681 666. The [ABC Radio program] Emporium was all about technology this week, and we were looking at a large collection of typewriters and the way they were used. Think back to your early days of working in an office or studying at a university or technical college. Did you use a typewriter? 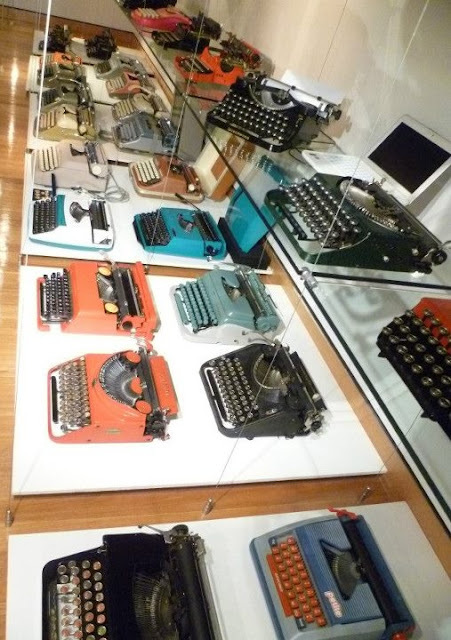 Right now there’s a wonderful exhibition on at the Canberra Museum and Gallery which showcases the typewriter collection of journalist Robert Messenger. While Robert first used an Underwood Universal typewriter when he was just nine-years-old, it wasn’t until he was 17 that he actually bought one for himself. Robert has a great fondness for the Olivetti Lettera 32. One of the strangest in the collection is an American Oliver. This photo is of Robert with his favourite model - the Blickensderfer 5, made in the late 1800s. Mark Scarborough: My mum taught me to touch type on her old typewriter. To be honest I am glad she did. There is so many people at work that can't touch type, people are always amazed when they see me type and also carry a conversation with them. Michelle Preston: I have my grandfather's old typewriter so it would have to have been made in the 1920s it's in a heavy silver case! 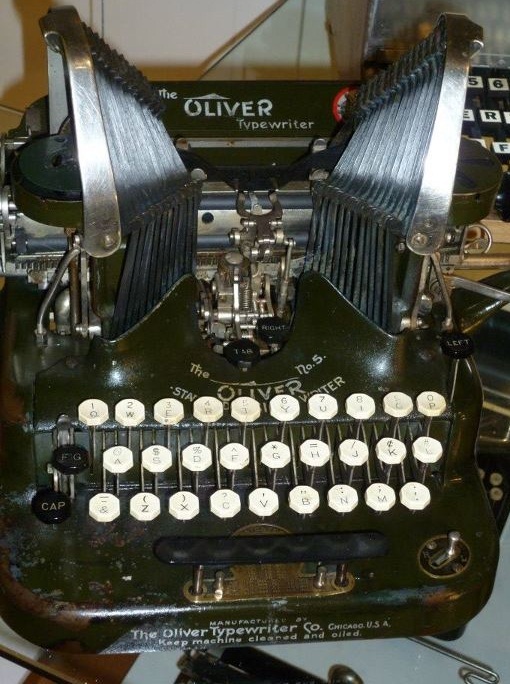 Prue Lloyd McCormack: I used my mum's Olivetti until I was 17 when my father bought me the first of the birthday presents to set me up for life. 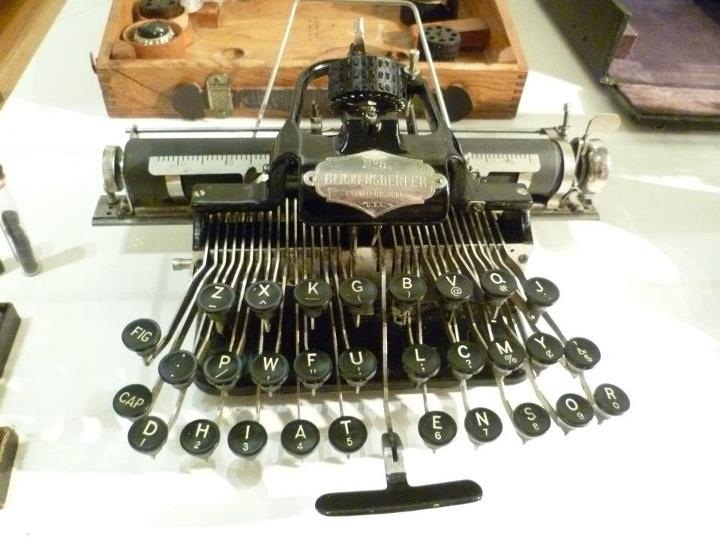 A Brother correctable typewriter was supposed to get me that first job! I remember typewriting classes at school during the 70s when we would sit at typewriters covered with cardboard boxes so we wouldn't look at the keys. When I joined the ABC in 1980 I had to sit a speed test. Nowadays I just type, it depends on what I'm doing as to the accuracy and speed I attain. Tony Kennedy: Hi Ginger, I cannot remember the brand but at first I used a typewriter with a red and black ribbon, later it was an electric golfball type. I wrote many letters, especially to our political leaders at the time. Now it is e-mail, but I do long for the day of the written letter to return because of the delay between replies. Jane Kim: Thanks Gina for the reminder - mine was a Hermes - a cute grey number. What great exposure! I honestly wish I could be there to see your amazing exhibition, but I suppose the book will have to do. Congratulations, Robert, and I wish you good luck in the coming month of your exhibition. Wonderful Robert! Thanks for sharing. It's good to hear you, Robert. From the other end of the World, greetings! fun! keep spreading the gospel brother!